Cliquishness is a challenging art. It can make people happy, rich and powerful. At the same time it is a tricky business that requires knowledge, manipulatory and strategic skills plus quite a bit of practice. Men well-equipped with cliquish aptitude formed the Catholic Church, the Sicilian Mafia organization Cosa Nostra, the investment bank Goldman Sachs Group Inc. and the tech giant Google Inc. into centers of influence and wealth. 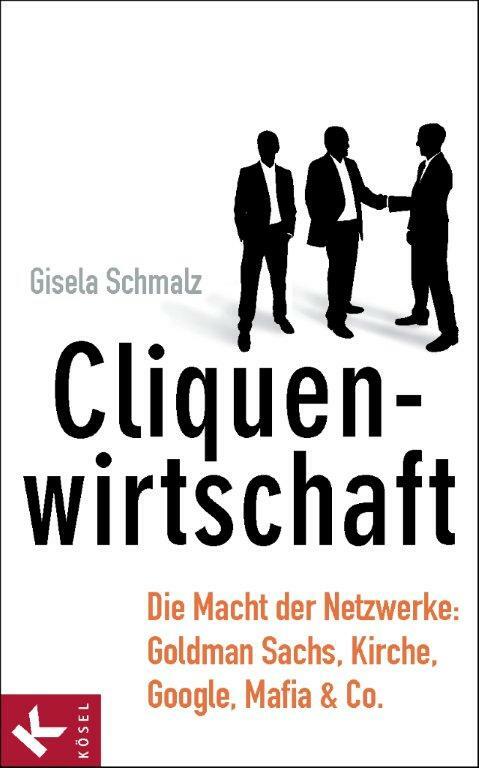 This book shows how cleverly the representatives of these four of the most powerful organizations in the world apply cliquishness to reach highly ambitious political and financial goals. Clique Economy explores an omnipresent, but so far insufficiently valued topic. It delineates the causes, reasons and dynamics of this phenomenon, which occurs among human beings as well as in the animal world. Only those who fully understand the motives and intentions of cliques are able to value or evaluate the sophistication of utilizing the technique of cliquishness. Clique Economy will introduce the single instruments of successful cliquishness, not without casting a careful and critical eye on the results. It recommends those tools to everyone who was previously only timidly or not at all cliquishly active. Especially those who reject power cliques, crony capitalism and the like should be stimulated to use cliquishness in a constructive way. This social tool can be applied with negative or positive outcomes. Readers are invited to become familiar with cliquishness and to apply it – for a good cause. They also can use their new knowledge to lay bare existing forms of destructive cliques.